1.) TextBox or Textarea Control - which is used to enter html tags or code in it. 2.) Button Control - which is used to store what ever value we entered in above TextBox (i.e HTML Code ) that data stored in SQL SERVER after clicking this button. 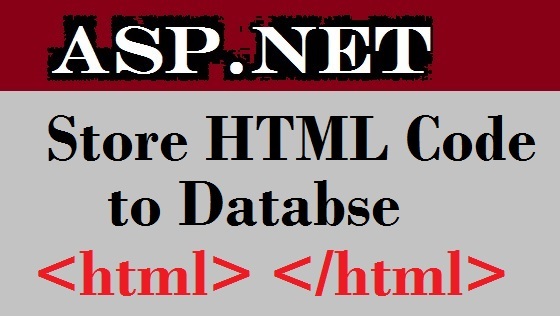 0 Komentar untuk "Store HTML Code in Database by Using ASP.NET C# Coding"